Did you know the star of Channel 4’s ‘George Clarke’s Amazing Spaces’ actually started out as an apprentice? 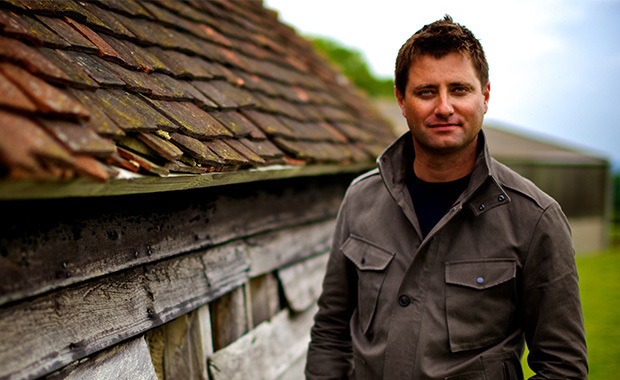 Architect and TV personality George Clarke knows a thing or two about creative design, that’s for sure. But did you know the star of Channel 4’s ‘George Clarke’s Amazing Spaces’ actually started out as an apprentice? George hopes that by sharing how his apprenticeship changed his life, more young people will consider vocational and technical training as an invaluable foundation for the future. When did you realise you wanted to become an architect? I actually didn’t even know what an architect was until I was around 11 or 12! But my grandfather was a builder, so I spent a lot of time on building sites, doing sketching and sculpture, and when I learned what an architect was – and that it was something I could make a living out of – I knew, from that moment, it was all I wanted to be. My school teacher, Bob Radcliffe, asked me what I wanted to do when I was older. He introduced me to a couple of architects and, through that, got me a work experience placement. What made you decide to go for an apprenticeship? I was worried about A-Levels and getting accepted to university, so when I turned 16, I grabbed a copy of the Yellow Pages and wrote to every architecture firm in a 15-mile radius asking for a job. Eventually, one got back to me – David Johnson Architects – and he offered me a job as an architectural technician on £40 a week. He sent me to college, where I did my BTEC in Building Construction. Working for him, being in a practice, learning genuine business skills like communications, letter writing, taking meeting minutes, drawing, and doing my academic qualifications – it was honestly the best thing I’ve ever done. What skills did you gain from doing an apprenticeship that other avenues may not have provided? It really gave me an invaluable experience and practical skill set in the world of architecture. I went back to David Johnson every school holiday while doing technical training and during my degree. It was basically like an informal degree apprenticeship, and it set me up incredibly well. The academic approach taught me about design and technical drawing, but it didn’t teach me anything about business. Apprenticeships give real-life skills that are invaluable. Apprenticeship schemes prepare people much better for the real world. Doing a degree is still important, and we need to have the theoretical and academic knowledge, but the practical skills you gain from something like an apprenticeship, give you skills that academic qualifications can’t. How has your apprenticeship has helped you in your career? My apprenticeship has been the foundation stone for everything that’s happened since. I think of life as a linear process and everything in it as a stepping stone; you need to make sure that what you do is what you love and what will really help you fulfil your potential and your dreams. I can understand why previous governments wanted to make university ‘for everyone’. But it was to the detriment of apprenticeships and vocational, technical learning. In my opinion, they got that wrong; we need both, and it’s great to see that the pendulum is beginning to swing the other way. What advice would you give to young people who have a passion to pursue a career but aren’t sure what the best pathway is? Get in touch with organisations who are running apprenticeships as early as you can. There are so many organisations that believe apprenticeships are the future for their business, and if you show them you’re beginning to think about what you want to do, even as young as 13-14 years old, then you’ll be ahead of the curve and you’ll learn skills that will set you apart from everyone else. One thing’s for sure; I’ll be encouraging my three kids to do an apprenticeship.